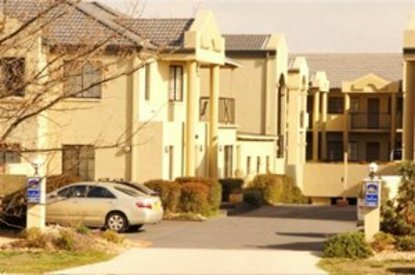 The Best Western Parklands Apartment Hotel is set amongst peaceful surroundings, just minutes from the city. We offer non-smoking 1 and 2 bedroom self-contained apartments. Our facilities include a heated indoor swimming pool with a spa and gymnasium. Foxtel is available to all units and there is secure underground car parking at no charge. Breakfast is available to all units. We are within walking distance to the Dickson shops and 40 restaurants. The Australia Institute of sport, ACT Racecourse, netball, tennis courts, hockey fields and golf course are within five minutes.